Planning the menu and gaining a healthy clientele are not the only things you’ll need to worry about when opening or expanding a restaurant. A profitable restaurant also has a great point of sale system to keep everything running smoothly. As you search for the best POS system for your restaurant, consider these important features. As you’ve probably noticed, technology is constantly evolving, which means that your POS system will need to be upgraded at some point. It’s important to look for a POS system that you can easily upgrade so that you can stay up-to-date with the latest and greatest features. You’ll also want the option of full tech support available 24/7 in case of glitches. You can’t afford to stop running your business to repair your POS system when it breaks down. The best POS systems will have the ability to track your labor percentages and employee accuracy. Always knowing your labor percentages will help you to keep costs associated with your business to a minimum, increasing your success. It will also be very helpful to keep a record of each employee’s till and computer use to help you distinguish the good employees from the bad. Though you can use any hardware compatible with your software of choice, buying it in a package provides a smoother, more affordable option. Usually when you purchase the hardware and software together, the license fee you would normally have to pay for each computer is waived, making it a very cost-efficient choice. An accurate inventory is the most important aspect of running any restaraunt, and using a sub-par POS system will make it that much more difficult. Look for a POS system that will accurately keep track of money lost on wasted food. This way, you can track food use and waste so that you know what to reorder and what to boot from your menu. 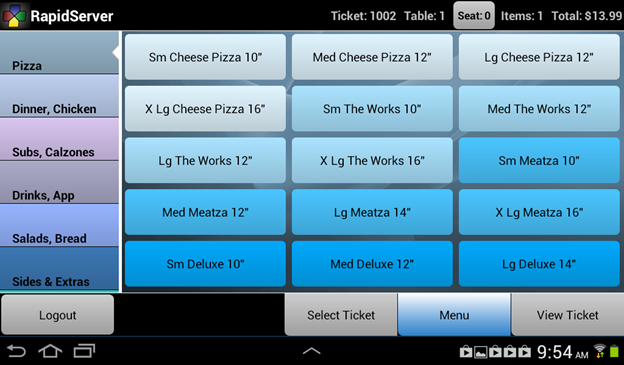 It’s always a great idea to have a handheld version of your POS system handy when you’re running a restaurant. It makes it easy to monitor sales, keep track of inventory, and run credit cards without being tied to a computer. The cost of a really good POS system can be astronomical, making it very difficult to see a lot of profit in the beginning. The good news is, the cost of the system doesn’t have much to do with the effectiveness of it. In fact, a great option for a new business would be a used POS system that has all the features you need without the cost. Provided it has all the necessary features, a used system will work just as well as a brand new one, and you can begin to see profits much sooner in your restaurant dealings. If your company has been in business for a while, you have probably had your fair share of experiences working with point of sale systems. However, you may not have yet made the jump to more modern forms of POS systems. If this is the case, you may have no idea about the cost, space, and time saving benefits you are missing out on. 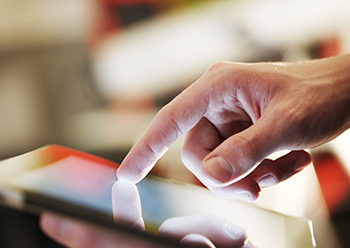 As compared to traditional POS systems, tablets are much less expensive. Prior to the innovative technology of current POS systems, you would have to pay somewhere between $5,000 and $50,000 for a point of sale system to be established within your brick and mortar store. You also had to pay for receipt paper and any additional software updates you chose to incorporate. But with tablet POS systems, you have the option of avoiding both of those issues. With many cloud-based operating systems, you get software updates automatically. And with the option for no receipt or to have a receipt emailed to the customer, you cut down on both paper costs and waste. Traditional POS systems take up a lot of counter space with their cumbersome hardware and boxy shapes. But with a tablet-based POS system, your point of sale just became mobile. You can bring your tablet anywhere in your workspace and still be able to perform your work in the way you need. You also have more room to display products and perform tasks. The ability to move around with your POS system has so many benefits that you won’t truly understand until you have implemented it into your own business. If you do choose to begin using a tablet-based POS system that uses cloud technology, you relieve yourself of the burden of having to be in charge of every aspect of your POS system. While you still have the capabilities of managing all of your transactions, you are no longer responsible for fixing any problems on your own that may arise with your point of sale system. Also, depending on your type of business, a mobile POS system may save you even more time. For example, if you have a restaurant or other type of foodservice business, you can have a much faster table time using a tablet POS system rather than a traditional POS system. And that time, as we all know, turns into money. Business Software Solutions is pleased to announce the introduction of our new tableside POS solution, BPA RapidServer for Android. RapidServer integrates seamlessly with BPA Restaurant Professional and BPA Restaurant Delivery software to bring you better customer service, more accurate ordering, and increased server efficiency. With BPA RapidServer, servers can instantly send orders to the cook allowing them to remain on the floor and serve more customers. One of the main goals of any restaurant is to be able to efficiently server more customers while lowering costs. BPA RapidServer for Android gives you the edge you need to accomplish this goal. RapidServer allows you to offer faster customer service while minimizing mistakes during ordering. Table turn time is decreased allowing you to serve more customers in a shorter period of time. 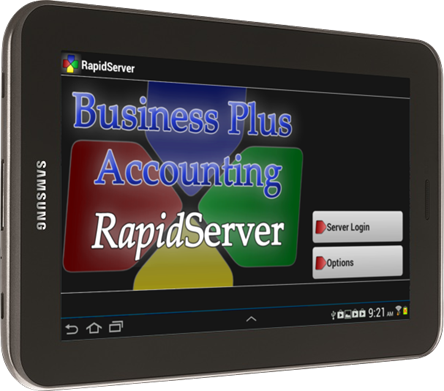 BPA RapidServer combines the easy menu ordering of the BPA restaurant software with the simple touch interface of an android bases tablet. Servers can quickly scroll through menus on a handheld device that are laid out in the same format as the traditional POS system. Orders can quickly be sent to the cook and receipts may be printed at any receipt printer. RapidServer requires you to have at least one PC with BPA Restaurant Professional or Delivery Profession to host the database and cash out orders. Click below for package pricing or call our sales department today for a custom package to meet the needs of your restaurant. RapidServer Restaurant Systems | Call (801)336-3303 Today!